The Melbourne Cup is coming to Hartley. 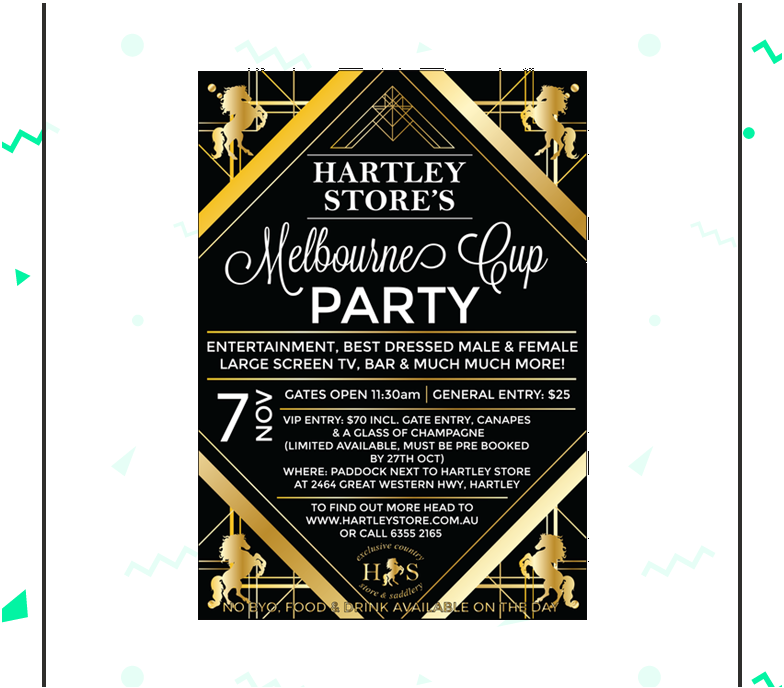 On Tuesday, 7th November, the Hartley Store (courtesy of Johan and Kristie) will bring the Melbourne Cup races to you. Held in the open space adjacent to the Hartley Store, Cup Day will have its traditional settings of a large marquee, large TV screen, VIP tent, food and drink stalls, sweeps, prizes and lots more. Gates open from 11.30am till stumps at 4.30pm. NOTE: The proeceeds from this event will go to fund Uniting Care Disabilities Group HDPA Christmas party at historic Hartley School! So come on down to the marquee and have some fun whilst you are doing good!!! A courtesy bus will operate from Mt Victoria and Lithgow train stations. Tickets are available from the Hartley Store. Pencil in the date and get in early – it should be a great day.